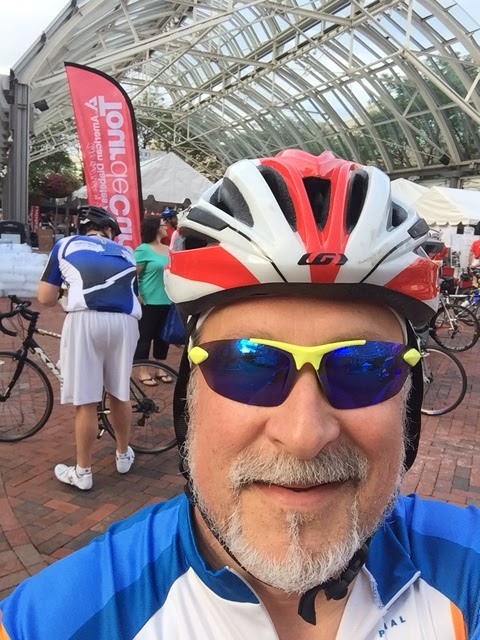 For the fourth year in a row, I decided to ride and fundraise in the Tour de Cure of Northern VA. You may recall that last year, after riding the century ride the prior two years, I set off on another century and had to bag it due to being gassed far too early. You can read that in the June 2014 archived posts to the left. This year? I signed up for the century again when I registered for the ride last summer. I had every intention of doing the 100 miles. But a very long winter coupled with an awful lot of business travel had effectively killed my training plan so that, by ride day, I had less than 500 base miles in for the year. Being older and wiser (just ask me!) I realized it was much smarter to ride the metric century this year. My plan was to change what I’d signed up for when I picked up my ride packet the night before. Before I tell you about the ride, I want to take a moment and thank all of you that took the time to donate to this cause in my name. My goal was to raise $2000 for diabetes research. Donations as of today have reached $2123! Your generosity is amazing and I’m genuinely humbled by it. Thanks to your generosity, I’ve raised over $8,000 in the past 4 years! Again, thank you!!!! Since this ride takes place in Reston, about 120 miles north of where I live in Richmond, I drive up the day before and spend the night. I’ve found a delightful Residence Inn about 2 miles from the course start at the Reston Towne Center Square and, since I’m a member of Marriott Rewards club, I earn enough points with my business travel to get a free room for the night. I left Richmond shortly after lunch on Saturday and headed north. I made my way up I-95 with lots of other cars. So many in fact that, multiple times, the speed of all of us dropped down to zero making it the longest parking lot on the East Coast. The first back up occurred in Fredricksburg, at about the half way point in the drive. Why would you live here? When you’re 60 miles away from your final destination and traffic is at a standstill, for no apparent reason, you just have to turn up the music and sing along to keep from losing your mind. As usual, Jimmy Buffett helped to keep me sane. 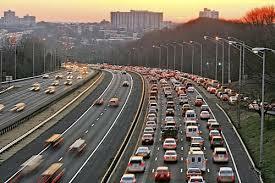 Once I got to Woodbridge, about 25 miles from DC, the traffic stopped dead for about 5 minutes. I picked up the phone and called MB to let her know that, under no circumstances, would we ever move to Northern VA or the DC area. She laughed and told me to call her when I finally did arrive. I finally reached the hotel about 3:45 and checked in, taking my bag and bike up to the room. I did a quick google search to understand what was around the area for breakfast in the morning, decided that I didn’t need to buy stuff and bring it back to the room as there were plenty of options at 6:30 on Sunday, and then headed out to check into ride headquarters. bike shop (www.thebikelane.com). It’s a really beautiful shop and I stayed out of it so as not to give myself a reason to find something I couldn’t do without. The check-in was under a canopy out on the sidewalk, staffed with only one person. She was doing her best to handle the people in line which, when I walked up, had 4 people in it. As I waited, I looked around at the people waiting and those walking around the area; the people watching around this area is terrific. After about 10 minutes, I made it to the front of the line and handed her my signed waiver. I told the woman that I wanted to change my ride distance to the metric instead of the full century. She made a note and handed me a ride number (497) and I grabbed some pins and a cue sheet for the ride. She also handed me a TdC water bottle, earned from my Champion’s status of more than $1000 raised. I walked back to the car, tossed the items on the front seat and locked it up. I was hungry. I wandered back up the street toward the area where most of the restaurants are located. It was only about 5:00 in the afternoon but there were plenty of people enjoying the beautiful weather, sitting out on patios, having a beer. I had a rather pedestrian cheese burger and some fries and a bottle of water and then went in search of a place to get a beer. 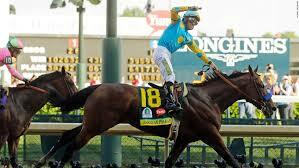 I also wanted to watch the Belmont Stakes to see if we would finally have a Triple Crown Winner. I walked back down the street, drawn to a neon bar front sign that read World of Beer. My mouth watered in anticipation of a craft brew. I first encountered World of Beer in Jacksonville last year when I met a friend for a drink one evening while traveling. It’s a pretty successful chain that I would describe as a sports bar, specializing in (or masquerading as) a specialty beer bar. The food is pretty high quality, although mostly bar fare, and the beer selection is excellent with several hundred different beers from all over the world. I asked for a beer list and she pushed an iPad over to me that was loaded with their beer app. This thing is really cool! It allows you to search by all kinds of different methods; draft versus bottle, hops type, beer type, brands, country of origin. I told her to give me a few minutes to browse and then come back. I found a porter from a local brewer (sorry beer geeks, I don’t remember what it was. I’m a failure.) and ordered it when she came over. It was delicious! I settled into my seat and continued to scroll through the beer app, checking out the selection. I was also keeping an eye on the TVs, which were now showing the pre-race festivities for the Belmont. I ordered a small munchie from the menu and listened to the telecast and watched a UVA baseball game on the adjacent TV. After about fifteen minutes, a guy sat down next to me. I pushed the iPad over to him and he started a conversation as he looked for a beer. He was an IPA fan and asked what I was drinking and did I have any suggestions. I told him there was a reason I was drinking porter but that I was a fan of Devil’s Backbone 8 Point IPA if he hadn’t tried that. Once the bartender took his order (it took a while and I asked him if he was wearing his invisibility cloak) we continued to chat about breweries in the DC/Baltimore area and then the Richmond/Central VA area. Post time finally came and as they were loading the horses into the starting gate, I asked him if he remembered the last Triple Crown Winner, Affirmed. He told me he didn’t, but then he’d only been three years old at the time. I smiled and then backhanded him off the barstool. (In my mind.) I was 21 the last time it happened and suddenly felt much older that I had a moment before. The horses broke from the gate and it was clear to me that American Pharoah was the class of the field. He never looked like he was doing anything but loping around the track and yet he led almost from the start. As the field came down the stretch, I told my new acquaintance to remember this moment because it could be the last one he sees. Horse racing has been slowly dying over the past decade and, if it continues, we may not have it in another ten years. The bar erupted in screams and applause as American Pharoah crossed the line with 6 lengths to spare. I finished my beer, paid my tab, and headed back to the room to get some rest for tomorrow. I actually got a decent night’s sleep for a change. My alarm woke me at 6:30 and I jumped into the shower to loosen everything up. I dressed in my McKesson kit, packed up my stuff and carried my bag and my bike down to load up the car. I had a hearty breakfast along with some OJ and a large coffee; just enough caffeine to get me going but not enough to have me stopping to pee every 15 minutes. I took the last of the coffee and headed over to the starting point for the ride. I pulled into the parking lot, found a space and started to get ready by offloading the bike, changing shoes, filing my pockets with some snacks just in case the SAG stations were out. While I was doing this, a guy about my age was prepping himself and his wife was watching with a worried look. He caught my eye and asked if I would take their picture. We had a conversation and the upshot of it was it was his first big ride (66 miles), he had never ridden more than 25 miles, and his wife was horribly worried about him going out there. I assured her that he would be just fine, the route was very easy and comfortable, and there were lots of people to help and watch over him. I gave her my cue sheet so she could see where the aid stations were; she planned to drive to each one and check on him. I congratulated him on his fundraising efforts and his desire to make this ride. I also let him know I was riding the same distance and if he needed any help and saw me, I’d be glad to assist; just like every rider out there! Just before 7:30, a young man came to the stage. I had positioned myself over near the starting area to get out in front of the large crowd and avoid the mass start crashes that occasionally happen at these things. The announcer introduced a teenage trumpet player who would play the National Anthem. I pulled off my helmet and held if over my heart. This kid played one of the best renditions of the song I’ve ever heard! He played with a clear, true, rich tone, and that perfect tempo that the song deserves. I choked up a little bit, frankly. When he finished, there was a huge round of applause and screams of joy. I pulled my helmet back on, and swung a leg over the saddle as the announcer invited people to head out. I was off! Over the past year, I’ve learned the value of riding with others especially on rides that are longer than a couple of hours. I ride alone about 75% of the time and most of my rides are around two hours in length. I find solo rides that are longer than that really put a hurting on me. I’m sure it’s just because I don’t do it very often but it has made me a little gun shy on these bigger rides. And this one was looking to be a solo unless I could find some folks to join as I did in the Cap2Cap the prior month. I headed down the W&OD trail which would make up the largest portion of this ride of 66 miles. There were some people out walking their dogs, there were other cyclists not participating in this ride, and after a few minutes I began to see TdC riders coming up behind me. I was riding at my normal pace speed of around 16-17 mph. Many of the groups passing me was rolling along at a speed above 20 mph. I can’t sustain that for more than about 20 miles, even in a group, and wasn’t about to tempt fate. I kept grinding along. About 5 miles had passed when two guys in matching kits passed me, just slightly above my speed. “There’s my ride!” I thought. I swung in behind the 2nd rider and increased speed to match theirs. I like to thank my sponsors! was the title sponsor of the Metric Century ride. More importantly, they recognized my jersey because another division of McKesson apparently does a lot of business with them. At the first aid station, we stopped and introduced ourselves and I thanked them for letting me join them. Mike appeared to be the leader (I got the impression that he was a high level executive with the company) and had been riding point for the 10 miles or so that we’d ridden. I told him I’d be glad to take pulls and he said he’d let me know if he wanted to rest. Lucky for me, that time really didn’t come. At one point, the ride turned off the trail and onto city streets for about a 12 mile loop through some neighborhoods. I took the lead for about 6 miles during that loop but for the remainder of our time together, I was sitting 2nd or 3rd wheel and using far less energy, as a result. It felt like I was stealing. Shortly after returning to the trail, we were passed by a guy who looked like an NFL safety; tall, big upper body, enormous thighs and calves. He went past us with about 5 mph to spare and looked like the Flash on a bike, or something. I mentioned to Mike that I was coming back with that body in my next life; he laughed and said that he had been thinking the exact same thing. It turned out that the poor guy went out too fast. We passed him about 5 miles further along and he was sitting on a bench trying to get his legs to stop cramping. He passed on our offer to help him, said he just needed to wait it out. We rolled on. We arrived in Purcellville at about the 40 mile mark and I was feeling really good. (No wonder!) The three of us dismounted, hit the portajohn, refilled bottles and had a couple of snacks. I was glad to see that Dean and Mike both subscribed to the same program as I do; no stops longer than 5 minutes or the legs begin to seize up. As a result, we were climbing back on our bikes and heading back the way we’d come pretty quickly. Mike immediately started out at a slightly faster pace than before and I hung right with him. Unfortunately, Dean was starting to wilt and fell off the pace. I began to slow down in the hope he’d catch up but he wasn’t making any time up and continued to drop back. I caught back up to Mike and told him that Dean was starting to run out of gas. “He’ll be fine,” was the answer. We kept rolling. At several points, the trail would cross a road or an intersection and we would come to a halt and have to wait for traffic to clear. If the wait was long enough, Dean would catch up to us – this happened twice – and then would drop off again, almost as soon as we re-started. He also caught as at the second to last aid station. He was laboring but he never complained. At the last aid station, we stopped to refill and refuel. Dean appeared about 5 minutes later, looking pretty bad. He didn’t say anything but I could tell that he was going to have to suffer to make it the last 12 miles. Mike looked at me and said, “I’ll take care of him from here. Don’t feel like you need to hang with us any further. It’s been great riding with you!” and stuck out his hand. I thanked him, shook both their hands, and headed back onto the trail. Almost immediately, I realized that there was a headwind of about 8 or 10 miles an hour. Lovely. This last 45 minutes was going to be uncomfortable. Or worse. figured I had nothing to lose, I could either suffer alone or suffer at a faster speed, so I accelerated and grabbed the wheel of the last guy in line. While I recovered, I looked the group over. None of them had a gut, they all appeared to have good bike handling skills, and the guy in front of me had calves that looked like someone who rides 10,000 miles a year. I was clearly out of my league if they ramped up the pace but I decided to see if I could hang around for a while. This last pitch turned out to be really fun for me. By amping myself up to about 70% of my limit, I was able to hang on to the wheel in front of me. Our speed remained above 17 for the entire time and whenever the wind dropped off, that would ramp up to about 20. With a mile to go, the trail crosses a very busy road in Herndon and it’s controlled by a traffic light. The group came to a stop and I took a moment to thank everyone for pulling me along. They hadn’t even realized I was back there until I said something! I think I have a future as a stealth peloton member….provided the peloton is made up of a bunch of old guys like me, I suppose. The light changed and we rode across the street. I let them pull away from me and took the last mile at a slower pace, enjoying the view riding into Reston. The last half kilometer was uphill and I spun up it, turned off the path and crossed the street, and pulled back into Reston Town Square to lots of screaming, music, and applause. The folks that are milling around during this event really make you feel welcome as you return! I parked my bike in the corral, doffed my helmet and gloves, and walked into the Champions Tent for lunch. Never does a Subway sandwich taste as good as it does after this long of a ride! I waited around until the group of 5 that made up the rest of Team McKesson (they were riding the 30 miler) pulled into the finish area, giving them high fives for their efforts and for the fundraising that they had accomplished. Everyone was smiling. Back at the car, I loaded up the bike, changed shoes and put on a clean t shirt so I wouldn’t feel so nasty on the drive home. I made sure to have plenty of water for the drive, catching up on whatever I’d lost during the ride, and grabbed a Snickers bar for energy. It had been a good day but I now I’d have to brave that brutal I-95 traffic to make it back home. I was mentally psyching myself up to make the drive. Amazingly, the traffic was the opposite of the ride up the afternoon before! I never slowed to less than 45 mph (truly, that’s a record) and was home in just over 2 hours. The shower felt delicious! Fundraising – I couldn’t have done it without all of the good people that donated on behalf of me! I’m convinced that your generosity, donating over $2100 dollars, will help to find a cure to Diabetes. (It also enabled me to be in the top 25 fundraisers for this event. Thanks!) For the 4 years that I’ve done this ride, you’ve helped me to bring in over $8,000! The Ride – If this ride were in Richmond, or any place that is 2 hours away but not in DC, I would absolutely guarantee my participation until I’m too old to turn the cranks. The traffic and hassle of getting there and back really has me scratching my head about doing this. The actual rides are terrific and the vibe around them, the great volunteers, the friendly crowds, and the support are top notch. But that damn traffic! If I’m going to continue this, I have to figure out another way to get there. Or get some Valium or something. Recovery – this ride was incredibly easy for me, driven by the wheel sucking I did all day. It is truly amazing how much energy is saved when hiding from the wind. As a result, my legs felt fine when I got home despite sitting in the car for 2 hours. And they felt fine the next day; I took an easy spin recovery ride the next evening and was just fine.